TWAR-REG. As your reading this review, I don’t want the name to snag you from the wondrous words I shall write about this SUV from Volkswagen. But the 2017 Touareg is pronounced TWAR-REG phonetically. Why it’s named that? I have no idea and shall not both valuable word space discussing it further. Now onto the review. For model year 2017, very little has changed for this midsize SUV. 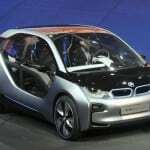 There are now sensor-based safety features as well as an updated infotainment system and navigation system. Otherwise, this stout SUV returns mostly unchanged. The Touareg has two big obstacles to overcome. 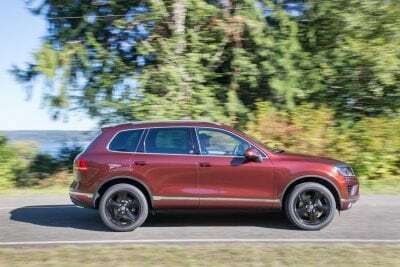 One, the midsize SUV is cluttered with competition so the Touareg must make itself standout (which it does but also doesn’t. More on that in a bit). Two, this SUV’s price point is incredibly high for a non-luxury vehicle. For an SUV to cost more than $50,000 it better be special or at least have a luxurious name and badge. 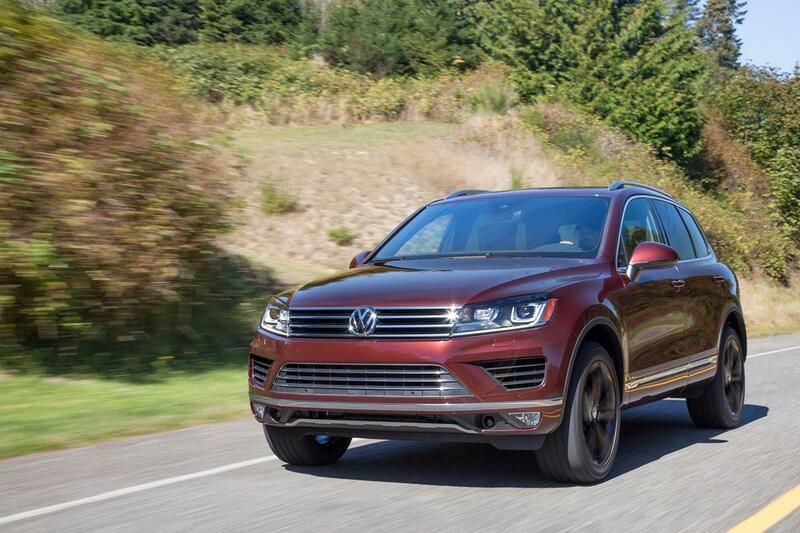 I will grant you the name Touareg sounds exotic, but I promised I wouldn’t dwell on the name. The Touareg has distinctive looks. It’s not garish or overly stylized, but it’s just attractive. In the crowded midsize SUV market, far too many are too quirky or bland. The Touareg is neither of those things. A curved side panel shows attention to detail and the rear spoiler adds sporty looks to an otherwise dull back end. 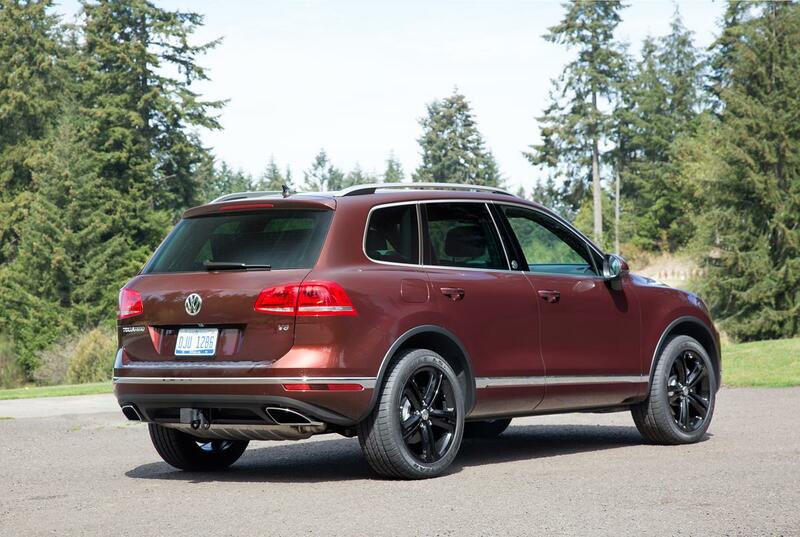 With just a hint of chrome exterior accents, the Touareg gets a good score for overall appearance. German engineering is usually impressive and means an exhilarating driving experience. Unfortunately, that’s not the case with the Touareg. 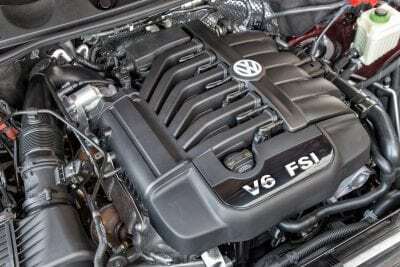 The 3.6-liter V6 engine makes 280 horses. That is an underwhelming number for a big V6 engine. The trend in SUVs is to go smaller with the engine, add a turbo and create impressive output numbers. The Touareg’s power plant is in need of an upgrade. The eight-speed automatic transmission is good. 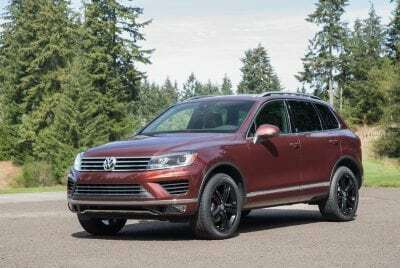 And the overall power isn’t that bad, but the Touareg’s bulky weight of 4,700 pounds works against it all and makes it feel sluggish, especially off the line. The Touareg is capable as an off-road vehicle. Better than some of the other comparable SUVs out there. There is good ground clearance and a sturdy suspension that makes the Touareg off-road ready. This SUV does have excellent towing capabilities, helping it surpass most in the segment. 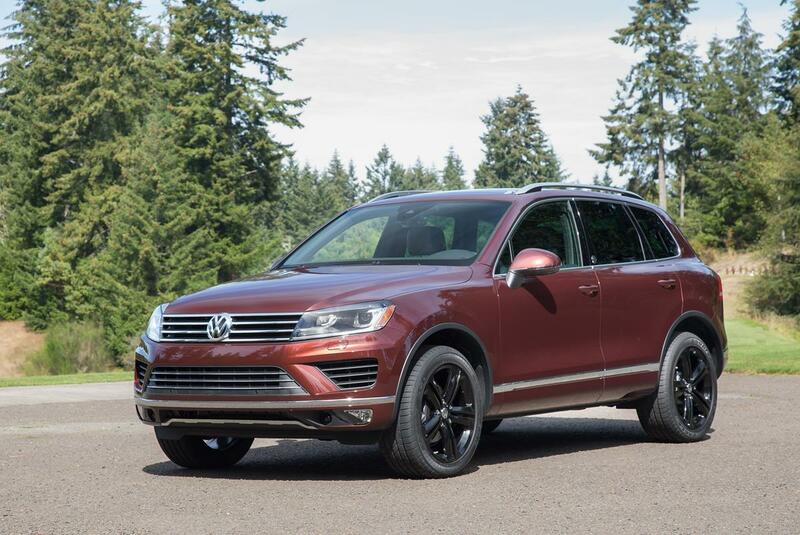 When properly equipped, the Touareg can tow more than 7,700 pounds. 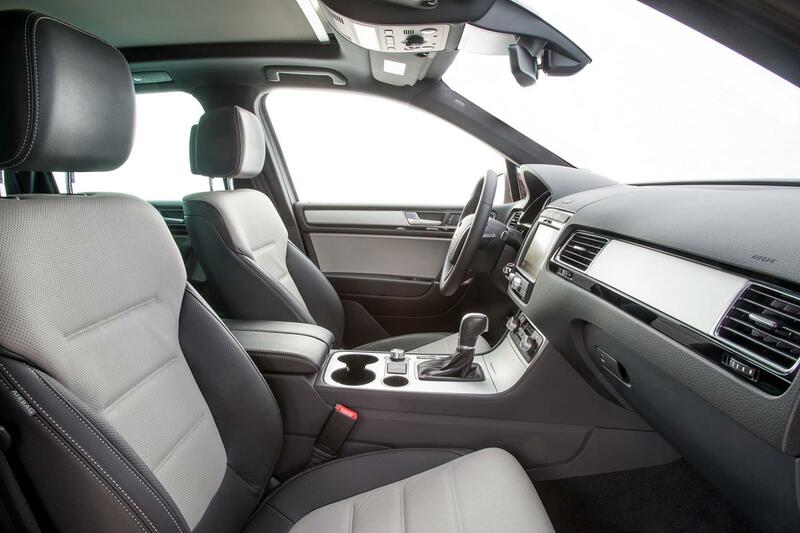 The interior of the Touareg is where it starts earning some of it’s big price tag. The interior is luxurious. The chrome from the outside carries over inside. Wood trim really jazzes up the interior. The Touareg has a refined interior usually reserved for a luxury brand. The rear seats boast ample legroom. They both slide and recline. The Touareg seats five people comfortably. The front seat has a great vantage point for the driver. Road noise is minimal. 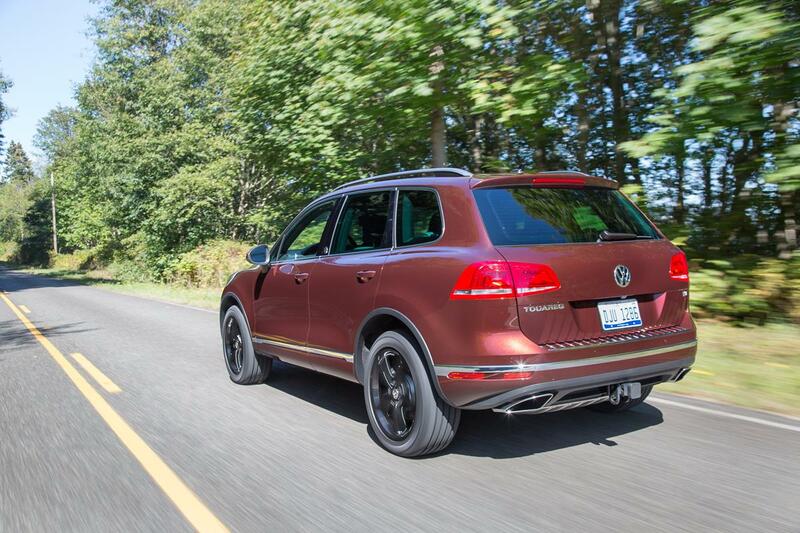 There are three trims for the Touareg, including the newly named Wolfsburg trim. This was how my tester came. 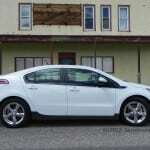 The Wolfsburg is trimmed out with leather upholstery throughout, power folding rear seats and a beautiful moon roof. 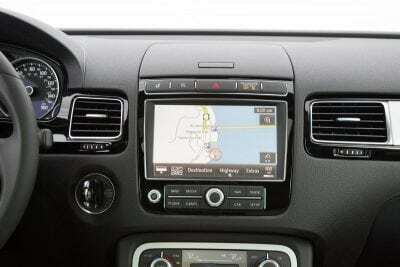 Starting price for the Wolfsburg Touareg is $52,795. That is more than most Acura MDX, Lexus RX and Cadillac XT5 models. Therein lies the biggest hurdle with the Touareg. 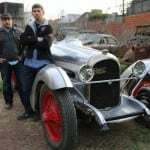 Is it a luxury vehicle? If so, then the price is justified. But few look at Volkswagen as a luxury brand and would rather spend a little more and get the Audi Q5. 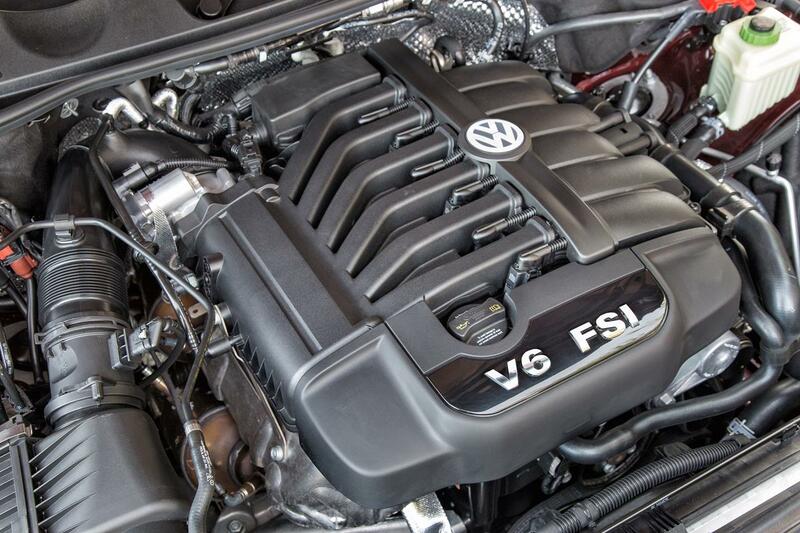 With the big V6 engine, the Touareg’s fuel economy takes a hit. 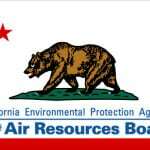 With a smaller turbocharged 4-cylinder, it could significantly improve on its EPA rating of 17 mpg/city and 23 mpg/highway. In a week’s worth of driving, I averaged just under 20 mpg, which is disappointing for a five-passenger SUV. All in all, the Volkswagen Touareg does many things well. It’s late in into its second generation and is due an overhaul. When that occurs, it could be a game-changing SUV.